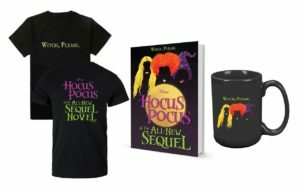 I am so excited to be partnering with Disney Hyperion to bring you a super special giveaway for HOCUS POCUS – THE SEQUEL Novel – I can’t tell you how much I adored the first one and now the story continues. This is my all time favorite movie to watch at Halloween and Halloween is just around the corner! This should help you get in the mood while you are sweltering in the heat. Here is the trailer for the original movie that came out (GASP!) 25 years ago. Giveaway Ends 7.29.18 and open to all who can legally enter. I have seen the original movie MANY times, love it!!!!!! Yup seen it many times. I didn’t see the movie. I loved the original movie, and look forward to reading the sequel. I watch the movie every year for Halloween. It is my favorite Halloween movie. Hocus Pocus is one of my favorite movies ever and I have watched it SOOOOO many times. I remember being a kid and being obsessed with Thackory (in human form haha). Still just as obsessed with the movie now and passing the obsession on to my kiddos! A long time ago ;). Yes, I can’t believe it’s been 25 years either!! I’ve seen it several times. I watch it at least once a year – love it! Seen it? Seen it? Like a hundred times and more. My husband loves the movie and it is played frequently in our house. It IS a great movie. Those actresses had great parts and did a great job. I love the original film! Yes, it is a family favorite. Doesn’t have to be Halloween to watch it. Yes I saw the first original movie and loved it. Of course! I’ve watched it so many times. It’s cool because I watched it when I was young and my nieces love it too. Not only do I love the original HOCUS POCUS Movie,my step daughters do too. I hope I win them this book. They are going to crazy over it. Yes, I have seen the movie and loved it. Looking forward to sequel. I have seen it over a hundred times! It’s one of my favorites! I have seen the original movie many, many, many times. Hocus Pocus is an all time great! I always complain that they don’t make good live action family movies anywhere. Yes, I have seen the original movie. I have seen it many many many times!! That movie is one of my favorites. It honestly never gets old! Yes I saw the original. It was fantastic. 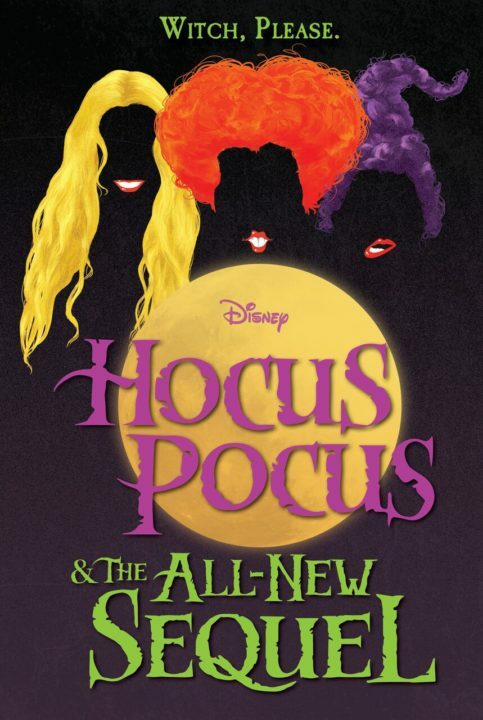 I love, love, love the original Hocus Pocus, it’s a must watch every Halloween….who am I kidding? I watch it on the regular! Oh yes, I saw the original Hocus Pocus and loved every minute of it. I’ve seen it several times! Yes. Its my favorite movie. Yes, I have seen it many times. It is such a great movie!